Superdry men's short sleeve International Vacation shirt. 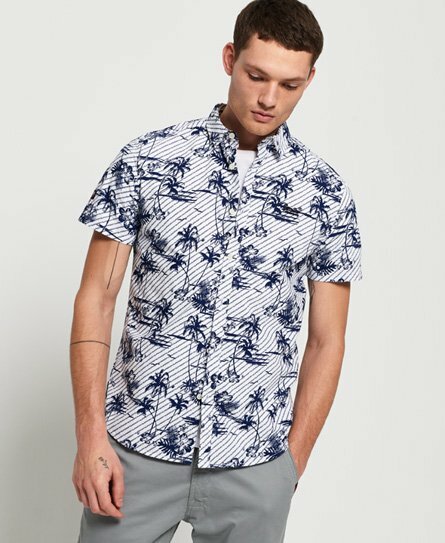 This shirt features short sleeves, a main button down fastening and an all over print design. Finished with an embroidered Superdry logo on the chest, a Superdry logo tab on the side seam and a Superdry logo badge on one sleeve.